What a great cow! 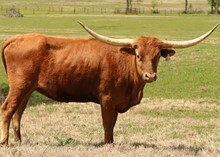 Ben said she was the best Rio Grande calf he had ever had and we purchased her at nine months. 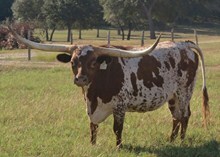 Big body, long and high with horns that are flat and rolling out! Should get over 80". 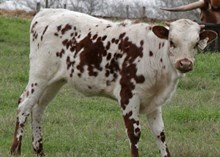 This is a special cow, what you want in a perfect longhorn. First six calves are all heifers she is a heifer machine!